Pre-sprouting peas has proved profitable. Last weekend I planted the little sprouted peas and less than one week later I have surprisingly large plants. 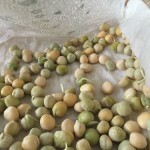 I’ve discovered some tricks to pre-sprouting peas which I’ll share here and I definitely recommend it over overnight soaking. First, make sure the paper towels are wet but not soggy. If too wet, there is some risk of mold and rot. Second, it’s easier to plant when the little sprouts are small. 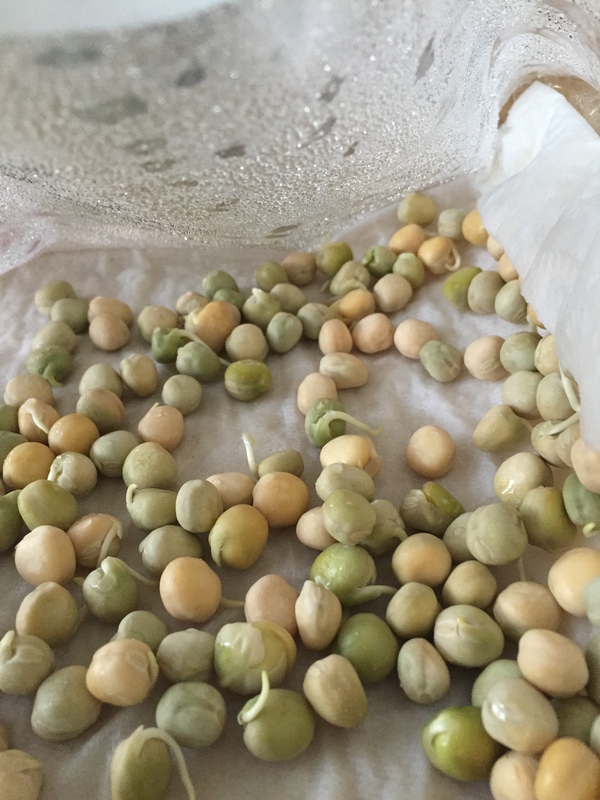 However, this is difficult when the peas germinate at different times. I found some peas had long tails of an inch or more while others tiny nubs. The long tailed seeds are more difficult to plant so that the delicate, long root doesn’t snap in half when planting. 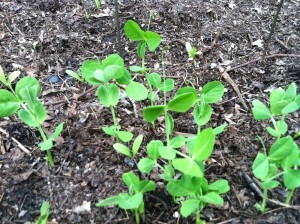 Once planted, the peas were up within three days and are now flourishing. My friend and mentor Jack Spicer planted his peas in soil blocks so I’ll keep you informed as to the preferable method for early peas: the competition between methods is on. And more on soil blocking later. P.S. Jack’s soil blocked peas were a close contender but the pre-sprouted peas had the lead in the early spring. 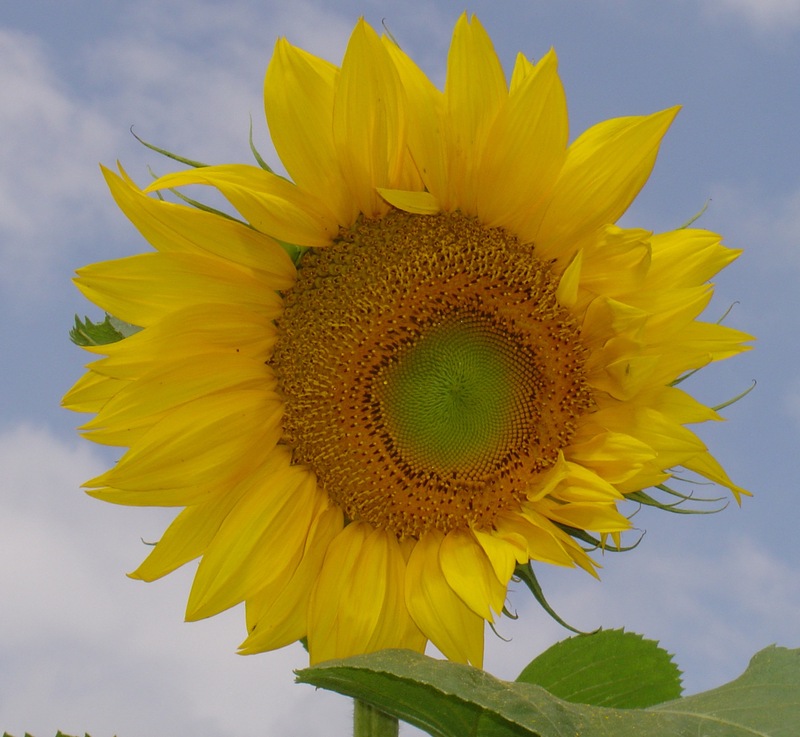 Eventually it didn’t seem to matter: both sets bloomed and yielded a good harvest at the same time. This entry was posted in planting, snap & snow peas. Bookmark the permalink.